Douglas Levy is executive director of communications and public affairs at Columbia University Medical Center. Levy has more than 20 years of media relations and journalism experience related to health care, the bio-life sciences and academic medicine, including at the University of California, San Francisco, Fleishman-Hillard Public Relations, and the Johns Hopkins School of Medicine. He was a health care reporter for USA Today, was science editor at United Press International, and worked at National Public Radio and the NBC and Mutual Radio Networks, where his investigative reporting earned a Peabody award. He holds a J.D. from the University of Maryland and an M.S. in journalism from Northwestern University. Ivan Oransky is the executive editor of Reuters Health. He teaches medical journalism at New York University’s Science, Health, and Environmental Reporting Program, and is treasurer of the Association of Health Care Journalists. He has served as managing editor, online, of Scientific American, deputy editor of The Scientist, and editor-in-chief of the now-defunct Praxis Post. For three years, he taught in the health and medicine track at the City University of New York’s Graduate School of Journalism. Oransky earned his bachelor’s degree at Harvard, where he was executive editor of The Harvard Crimson, and his M.D. at the New York University of School of Medicine, where he holds an appointment as clinical assistant professor of medicine. 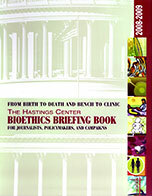 Karen Maschke is a research scholar at The Hastings Center, and editor of IRB: Ethics & Human Research. She has been active in research and public policy initiatives involving the ethical, legal and social implications (ELSI) of human genetics research. She currently is an ethics consultant to the Mayo Clinic Biobank, where she is a member of the Biobank’s Biospecimen Trust Oversight Group and Access Committee, and serves as interim co-chair of the Biobank’s Community Advisory Board. Maschke is also a co-investigator on an NIH-funded project that aims to define the range and variation of policies and practices for human subjects protection in biobanking — with an emphasis on informed consent and biospecimen and data sharing — among institutions with Clinical and Translational Science Awards. Charles Ornstein is a senior reporter at ProPublica, a nonprofit news organization in New York, and an adjunct professor at the Columbia University Graduate School of Journalism. He is president of Association of Health Care Journalists board of directors. Prior to joining ProPublica in 2008, he was a member of the metro investigative projects team at the Los Angeles Times. In 2004, Ornstein and Tracy Weber were lead authors on a series on Martin Luther King Jr./Drew Medical Center, a troubled hospital in South Los Angeles. The articles won the 2005 Pulitzer Prize for Public Service, the Robert F. Kennedy Journalism Award, and the Sigma Delta Chi Award for Public Service. In 2009, Ornstein co-authored a series of stories with Weber that detailed serious failures in oversight by the California Board of Registered Nursing and nursing boards around the country. The work was a finalist for the 2010 Pulitzer Prize for Public Service. His most recent project, Dollars for Docs, was awarded the 2010 Gannett Award for Innovation in Watchdog Journalism from Investigative Reporters & Editors.